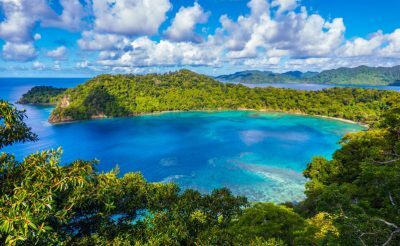 This holiday offers the chance to fully immerse yourself in Fijian life spending 4-nights in the northern outer islands surrounded by the spellbinding beauty of this paradise archipelago - palm-fringed beaches and pristine coral reefs providing the picture perfect backdrop of the idyllic island havens. Yet there is more to these utopian isles than meets the eye. To really experience the untouched beauty and unassuming hospitality of the locals, a visit to the northern outer-lying islands is a must. The underdeveloped landscape, pristine natural environment and inconspicuous accommodation, allows visitors the chance to truly understand the Fijian way of life and offers an insight into why the Fijian people are one of the happiest nations in the world. The largest and most populous of the northern islands, Vanua Levu is a patchwork of sugar cane plantations, undisturbed settlements and relaxing resorts where the local culture has remained relatively intact – the definition of rural Fiji. The island of Taveuni on the other hand, is known to the locals as The Garden Isle - a carpet of tropical jungle, colourful birdlife and rugged coastal terrain where some of Fiji’s highest peaks dominate the landscape. 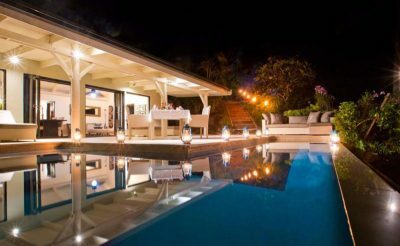 If you are looking for a boutique, adults only escape that epitomises the image of palm fringed lagoons and crystal clear water then the private island of Matangi will indulge your Pacific Island fantasies. Boasting over 30 renowned dive sites, hidden treehouses and luxury beachfront bures – Matangi Private Island epitomises rest, relaxation and romance. Spend your days exploring the underwater realm of crystal clear lagoons and thriving coral reefs or relax in a hammock under a sun kissed palm tree with a cocktail in hand. Take an excursion to a local village settlement and partake in a traditional cava ceremony or hike into the jungle and admire the spectacular waterfalls and abundant birdlife. However you choose to spend your days in Fiji, you’ll be sure to be wowed by the sheer beauty of its landscapes, culture and of course people. On arrival at Nadi International Airport you will take a short domestic flight to Taveuni Island where you will be met with a warm and friendly welcome, "Bula" and transferred to your chosen accommodation by car and then boat. The rest of your day is at leisure. The northern Fijian Islands paint a picture of tumbling waterfalls, dense rainforest, untouched village settlements and pristine, almost empty beaches. Yet far more than just the idyllic sands Fiji is renowned for, these northern islands offer a plethora of unexpected opportunities for those that dare to explore. Spend the day climbing one of Fiji’s highest peaks, partaking in a traditional cava ceremony or rafting down a cascading river, all before enjoying a candlelit dinner with the sound of the waves lapping against the shore and the Pacific stars twinkling above you. Spend your days in the remote northern islands at leisure. 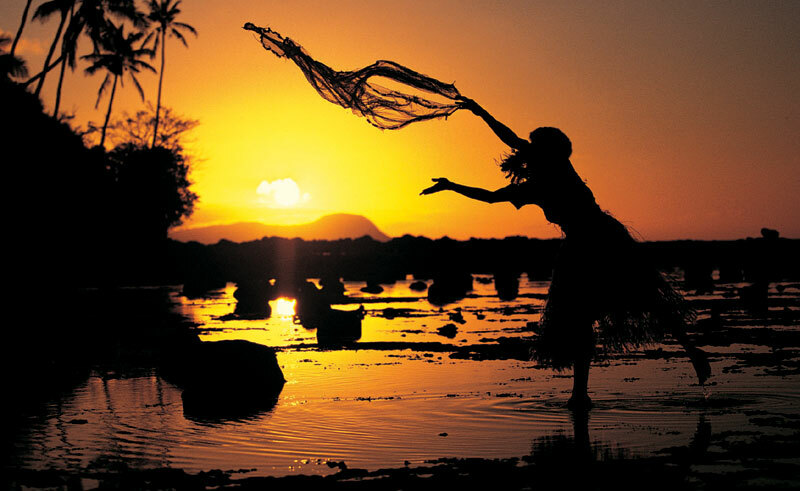 Simply explore, unwind and relax and enjoy the Fijian way of life. This morning you will be collected and taken by boat and then car to the airport for your domestic flight back to the main island of Viti Levu where you will connect with your international flight or extend your stay on Fiji's biggest island. This exclusive, privately owned, 240-acre unique horseshoe shaped island, a short boat ride from the garden isle of Taveuni, boasts pristine tropical rainforest and white sand beaches, surrounded by crystal clear waters and fringing coral reefs. 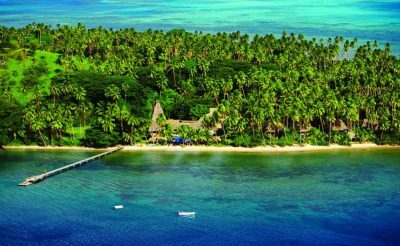 Built on the site of a former coconut plantation overlooking Savusavu Bay, the award winning 17 acre Jean-Michel Cousteau Resort is one of the most renowned in the South Pacific. Perched amongst swaying coconut trees on the edge of a golden sand beach overlooking the glistening waters of the island of Taveuni, the award winning Taveuni Palms Resort epitomises understated island luxury and exclusivity.